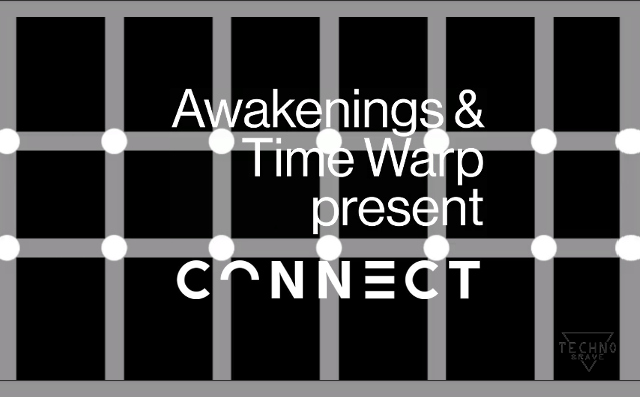 Awakenings and Time Warp connect to bring you an unprecedented experience. Two of the biggest brands combining to make one event : Incredible line up. A whole new musical experience. A synthesis of two brands with a long-standing history, both acclaimed for their distinctive productions, blending into a whole new music experience. 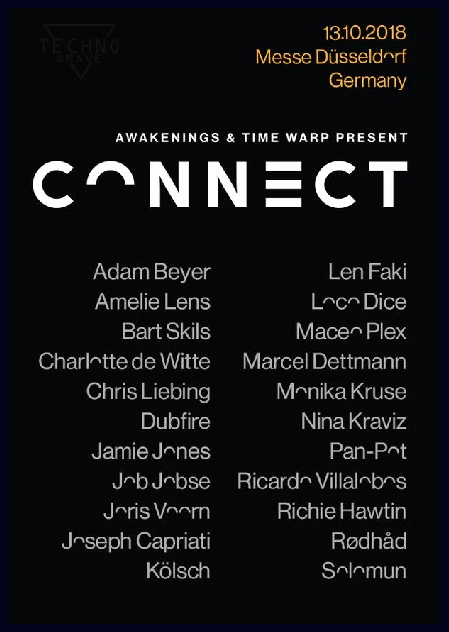 CONNECT, held for one night only at Messe Düsseldorf, marks a pivotal point in the history of electronic music events. 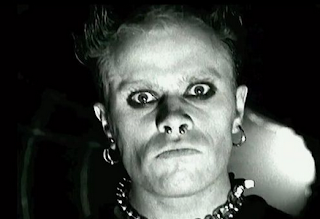 Düsseldorf proves to be the perfect spot for this unique event. Not only does it lie at just the right distance between Mannheim and the Netherlands, but is also the ideal backdrop for this whole new festival concept.